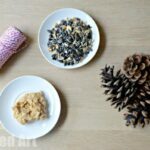 I absolutely ADORE Pine Cones – we love nature crafts for kids – and Pine Cone Crafts are a MUST when crafting with nature. They are just fabulously fun in all their tactile prickliness and are a fun nature find when out for a walk all year round. Pine cones actually make good humity indicators, did you know that? When “closed” they it is wet outside and when pine cones are fully open, it is a dry day. 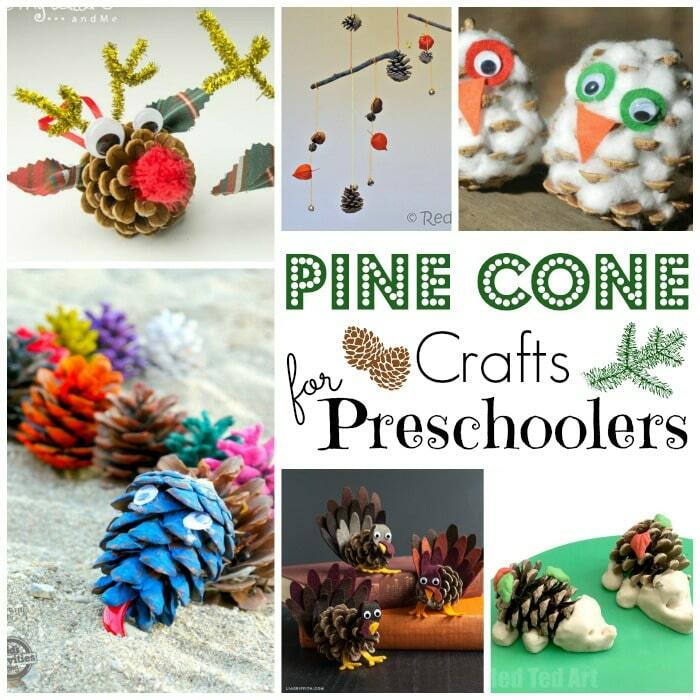 Anyway, I digress… pine cones are a great craft materials for kids of all ages. 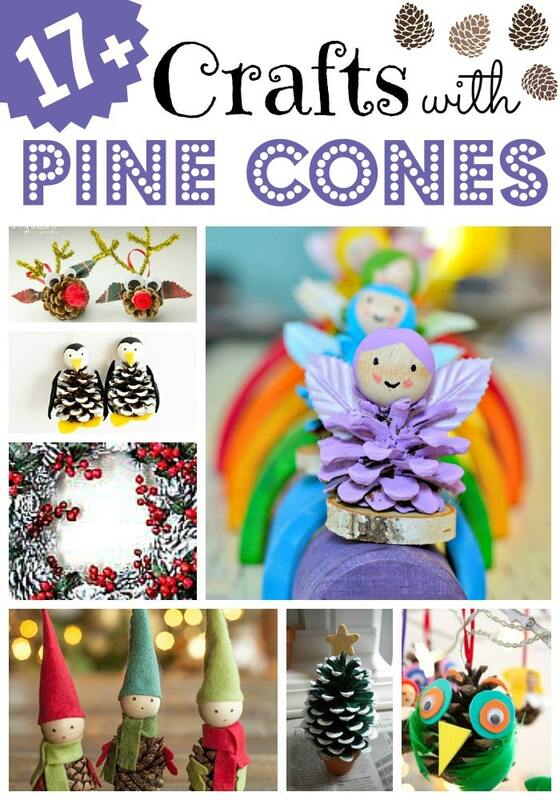 I have once again brought together our favourite Pine Cone Crafts for Kids, here all in one place! 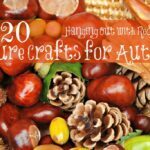 I have tried to group them into Preschooler activities and “Kids” Crafts, but to be honest, as always there is an overlap and children of all age groups can usually enjoy all the ideas. 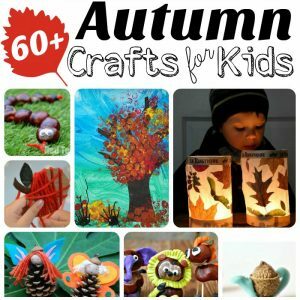 Do alsp check out our extensive list of Autumn Crafts for Kids and Autumn Crafts for Preschoolers! I also wanted to say “first up”, that we love Pine Cones simply for decorating -at Christmas time we add them to our mantle piece and window sills. They also make **great** additions to sensory play bins, as well as “small play worlds” (they are the perfect mini tree!!!). 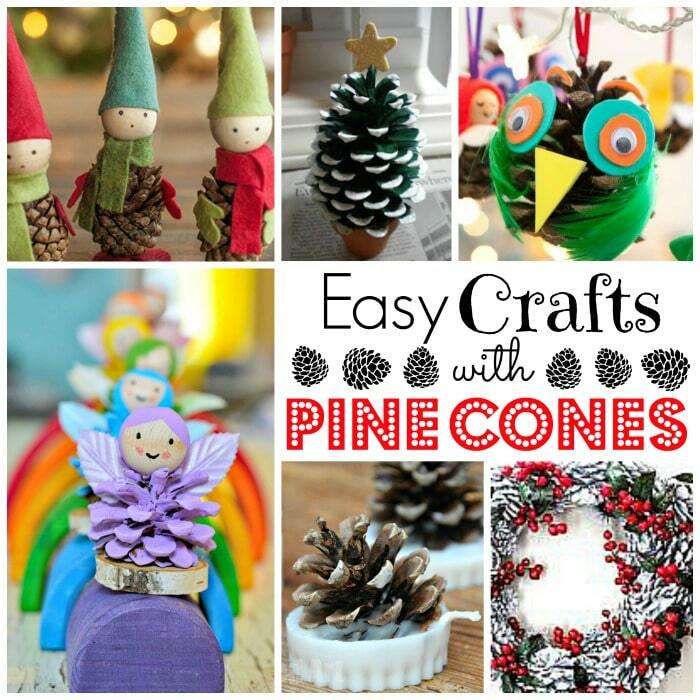 Having said that.. let’s get on to our pine cone crafts! 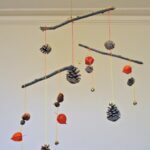 Another simple idea for pine cones is to make an Autumn Mobile. We had a lovely time make this last year. Pine cones are also great for turning into easy Pine cone Bird Feeders. They look wonderful too! 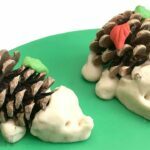 Cutest little Pine Cone Hedgehogs! 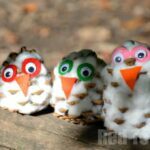 We also absolutely LOVE making these simple Pine Cone Snowy Owls and have made them at home, in school and with our local scout group! Brilliant. Love these LEAF Pine Cone Turkeys. Such pretty colours. But you may need to assist with the gluing! 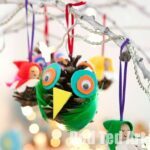 We also have wonderful Pine cone Owls (that we use as Christmas Ornaments). 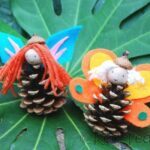 I would love to share our Pine Cone fairies – though Pip Squeak calls them angels! 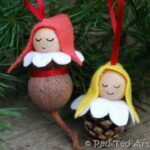 Pine Cone Elves/ Pine cone babies Christmas Ornaments – these are simply darling. 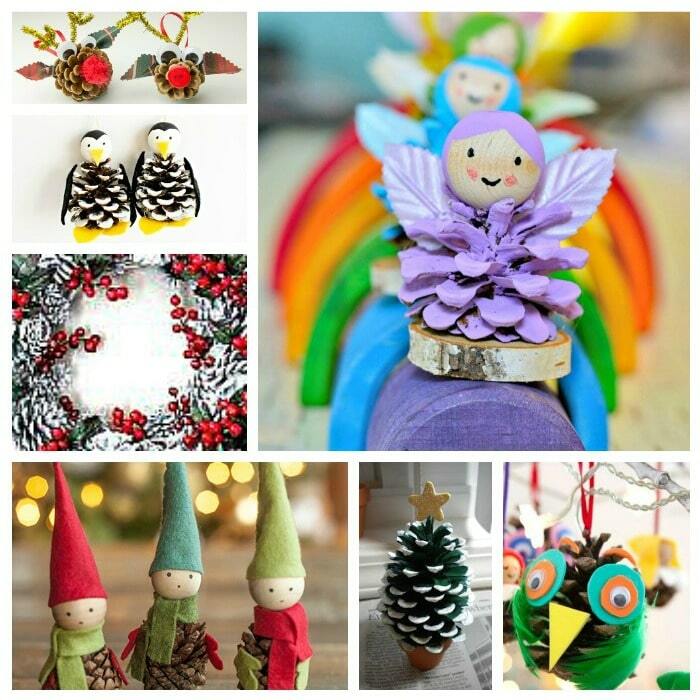 Have fun with our pine cone DIYs!